BMW i3 S Versus A Mountain - Can It Summit On Battery Alone? 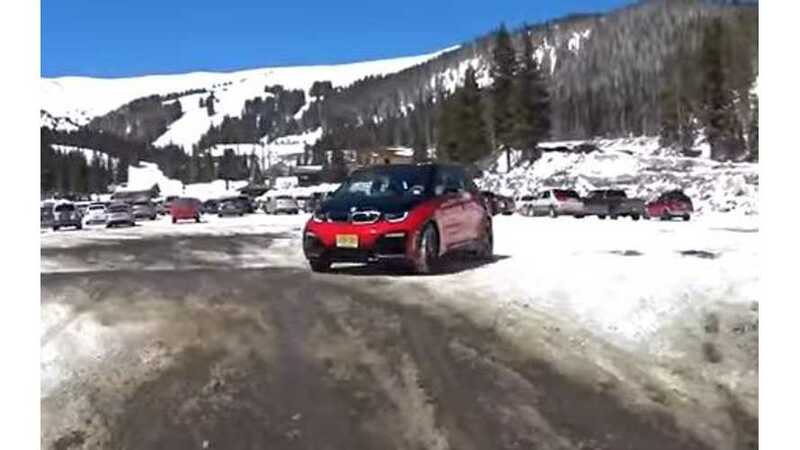 The Fast Lane Car takes the all-new 2018 BMW i3s up to tackle Loveland Pass in Colorado. The Pass sits at about 12,000 feet above sea level. They start out from their office, which is 5,200 feet above sea level. Will the i3s make it to the top on electric power alone? When and if the range extender (REx) kicks in, will there be any degradation of power? Finally, how much energy can the car recapture on the way back down the mountain, and will the make it back to the starting point? It's important to note that the drive will not be an attempt to hypermile, and Eco mode is not used. The idea is to drive the i3s as a normal car, rather than providing an unfair idea of how it might fare by using a fuel-saving feature and going easy on it. On the way through Boulder, Colorado and up the mountain, the driver fills us in on some important details about the BMW i3 in general, as well as the new i3s. He begins his trip with 132 miles of range. It's a 77-mile trip. Give it a watch and see how it all works out. Machine vs Mountain: How Far Can We Drive a BMW i3 On A Single Charge up a mountain?